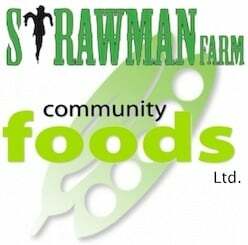 Strawman Farm community foods Ltd. Sometimes small changes can produce big results with proof that changing what you eat can transform your health. Whole Food Plant-Based nutrition has become a powerful global movement that is restoring health and giving quality of life back to the people. If you work or volunteer with people experiencing food insecurity, this is the website for you! By registering as a member, you will receive periodic email updates with links to new training opportunities and resources. The Strawman Farm team is highly passionate and successful Developers/Farmers . Our new project is around real food production, consumption, and preparation. We also organize events and tours at the farm, design and facilitate workshops around Food Literacy. With a fundamental vision and practice of education-on real food. The earth's population is expected to hit 9 billion people by the end of 2060. To feed all of those hungry mouths we will need a 70% increase in food production. And already a billion people are going hungry. We need to drastically change our food sources and production methods, and we have to do it appropriately. It sounds almost impossible, but scientists are coming up with answers, like vertical indoor growing. Organic produce is a $33.8 billion industry and is expected to nearly double by 2025. Strawman Farm company seeks to build Canada's first Sky Greens vertical farm. The vertical farm is a facility that looks like it jumped off the page of a science-fiction novel instead of agricultural textbook. The company is a combination of cutting edge, high quality, efficient food technology and production. It is committed to the improvement of taste in vegetables and excellent quality and nutritional value. The company will provide education, experience and research in the vertical indoor/hydroponic growing field. We have the experience and extensive knowledge of growing free from any contamination. This will be an independent collaborative community based project. We intend to supply strawberries, mushrooms and vegetables for the local, national and international markets. Strawman Farm’s strawberries are the taste of the future. The main crops to be grown will be Hydroponic Strawberries that are making a big impression! Growing strawberries hydroponically eliminates the need for methyl bromide. Many commercial growers have already switched to this method of cultivation. Hydroponics is rapidly becoming recognized as the most productive and efficient form of food production. that hinder people's access to nutrition. Proper nutrition is not always simply about access to food. It is also about economic, social and political participation. It is about systems of food production and distribution as much as farming techniques. It is about actions taken in the developed world as much as about issues experienced in the developing world. and communities to have a say in the sources of their food. such as land, water, seeds and biodiversity, as well as having a voice in the food economy. but also their right to participate in and control their food production. Strawman Farm believes that food is a basic human right. We work in partnership with communities to promote their food sovereignty. including human dignity, solidarity, partnership, the common good, and stewardship of the world's resources. With our partners, we work to ensure that farmers, families and communities are at the center of the decision-making process. Our long-term programs focus on strategies that promote good nutrition, community control, and safeguarding the environment. and helping communities promote natural fertilizers. The objective of this project is to establish Vertical indoor farms for food security / education & training center producing high-quality fresh produces for the local, national and international markets year round. Community gardens are thriving. Food poverty, pressures on food banks and long allotment waiting lists have led to a growing trend in community gardening. These gardens provide a great place for the community to come together, to share and learn new skills, whilst growing fresh local produce. The gardens also provide a multitude of therapeutic and well being benefits. Strawman will build your system and teach your community how to make their vertical indoor garden become self-sustaining? Feed your community first and then you sell your spare produce to our community co-op who then sells to the commercial food suppliers like Sysco or Sell at local markets ect? You sell plants, make jams and chutneys and so on. Your community indoor vertical farm could rent space, offer services or recruit paying members? Offer education evening's ect. As well as feed your community. Our new innovative, transformative and liberating approach is the driving force for our Food Mindfulness Movement. Building a community of Mindful growers and consumers. Strawman Farm has been working in the indoor vertical year round growing systems for several years. Year round we will grow spinach, kale, tomatoes lettuce and of coarse strawberries. we hope to see groups from the elders center's, youth community groups and the schools. students who love gardening and students who have never seen a garden. “We think it’s a great idea.” and something needed in every community. such as climbing peas, beans, lettuce, tomatoes, peppers, strawberries , blueberries and much more. 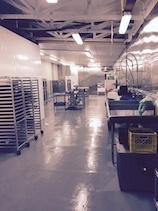 Including value adding to our products in our certified Government inspected commercial kitchen. Food Production and Consumption should be Fresh, Lean, and Clean; Balancing between food production and consumption; Zeroing down on all waste and food wastage. The company is a combination of cutting edge, saving energy, and using efficient food technology in production. It is committed to the improvement of taste, high quality, and nutritional value of produce. 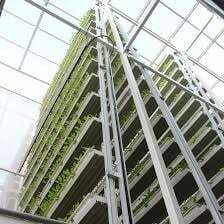 vertical hydraulic indoor growing facility. It will also provide research and training for mindful growers and young agrarian. This project will be an independent cooperative work of community members and friends who have the passion and extensive knowledge and experience for growing all natural real food free of any contamination. 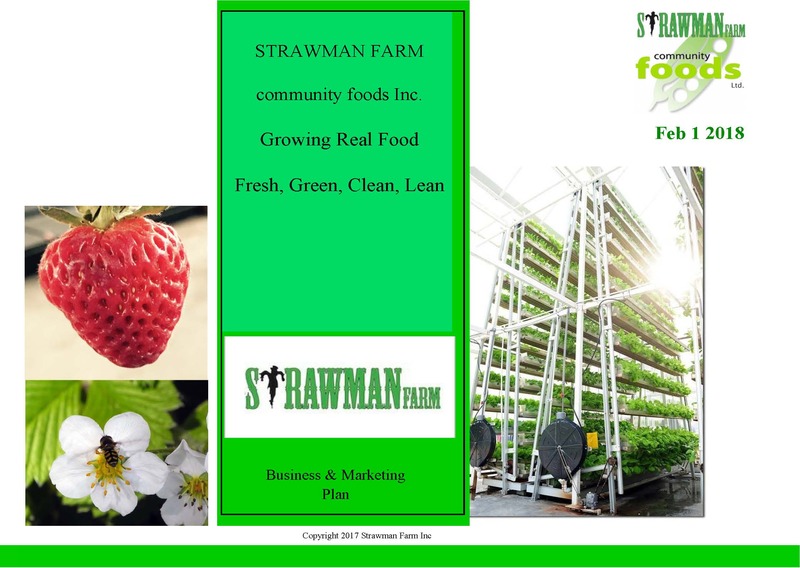 Strawman Farm is continually developing, training, and gaining new skills for its own family members and hired staff about the vertical indoor farming and the market place. Market and Products: Based on the increasing demand in the market, growing strawberries will be our primary production. Gradually, and on a timely manner we will add a variety of mushrooms, green herbs, and vegetables for the local, national and international markets. Canada consumes far more strawberries than its annual production. The bulk of imports come from California and Florida which provide Canadians with not much of high quality and fresh berries year round. Strawberry growers worldwide fumigate the soil with methyl bromide before planting to control soil-borne insect pests, diseases and weeds. The fumigation is essential to meet the demands for good looking fruit and high yields. However, methyl bromide has proven detrimental to our ozone and in 2005 faced a worldwide ban being completely phased out by end of 2018. It is estimated that banning methyl bromide will cut in half the annual production of field-grown strawberries in California and Florida. For the consumer this will mean an increase in the already astronomical prices for fresh berries out-of-season. Growing strawberries hydroponically eliminates the use of methyl bromide. To support our workforce, Strawman Farm aims to promote networking, coordinated research, training opportunities and resource sharing. Strawman Farm relies on contributions from members to achieve the key action areas. Sign up now... it's FREE! If you would like to contribute to Canada's food security workforce please sign up to this community of practice by completing the form below. Membership is FREE and you can chose to be an active contributor, a quiet bystander or anything in between. Members are encouraged to contribute to this by submitting details of their favourite publications, reports, textbooks, programs, presentations and media pieces. Find out more about the new Strawman farm indoor year round vertical farm!